JC’s Landscaping is a North Texas leader in a variety of lawn care services to meet all your yard needs in a complete solution. Maintaining your lawn care needs on a weekly basis will both enhance the appearance of your property and keep the H.O.A off your back. We offer weekly and bi-weekly lawn mowing, edging & cleanup. It’s better to mow as often as needed, for the health of the grass. Keeping your grass roots strong helps to prevent weeds. 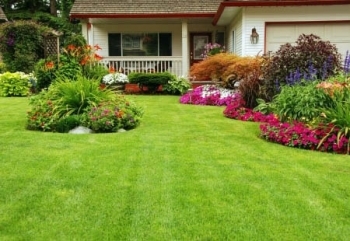 We service all of North DFW with quality lawn maintenance and service. When you’re looking for a professional lawn mowing and lawn treatment expert in North Dallas, rely on the services by JC’s Landscaping. Being in the business since 1997 gives us the confidence to call ourselves a full-service company for all your lawn care needs. Whether you are looking for simple lawn mowing or a team of highly creative individuals to revamp the lawn at your home, commercial space, or hotel, JC’s Landscaping team will exceed your expectations.